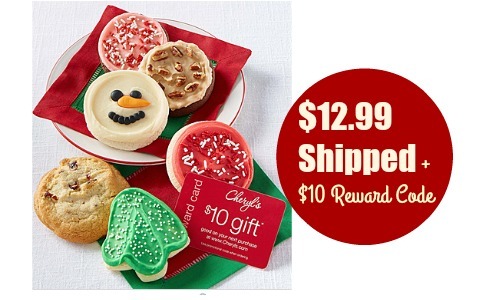 For a limited time, Cheryls Cookies is offering a Holiday 6-Piece Cookie Sampler plus a $10 reward gift card for $12.99 shipped. These samplers make great gifts plus it’s like paying $2.99 after rewards. Cookie flavors include Cranberry Almond, Frosted Peppermint Chocolate cookie, German chocolate cake and more. Yum!